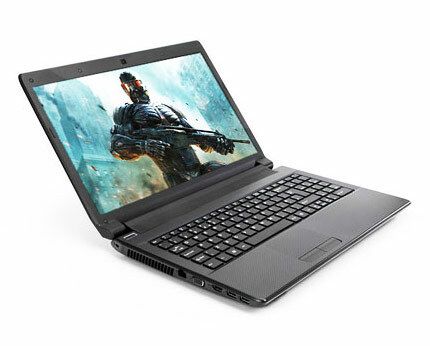 Unleash your inner gamer with this Novatech gaming laptop. 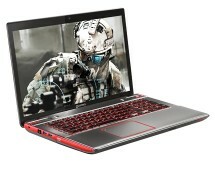 Powered by an Ivy Bridge Intel Core i5 processor and incorporating one of the fastest video cards around – NVIDIA GT650M – the Novatech Elite n1520 is the type of laptop you can’t kneel down easily. 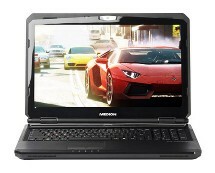 Get the Novatech Elite n1520 gaming laptop for only £614.99 from novatech.co.uk and start gaming right away. Even though the Novatech Elite n1520 is just the second Novatech product we’re reviewing, we must say that reviewing these products is always a pure pleasure. Maybe it has something to do with the fact that we just love it when a smaller company takes on the giants of the field and puts them down before they even know what hit them, or just the fact that Novatech gaming laptops turn out to be plain awesome. Either way, it’s the second high-end gaming laptop from Novatech that gets under out magnifying glass and the second time we bow in respect for this brand. If the terms “gaming laptop” instantly get you thinking about a huge choppy laptop that’s as portable as your refrigerator, think again, as this little monster weighs only 2.7 kilograms; as for the “choppy design” expectation, maybe next time, because the design of the n1520 may not be the most attractive out there but it’s definitely not choppy. From the outside, the laptop doesn’t look too aggressive, nor very impressive for that matter, with a black chassis and a glossy lid. On the lid, a metallic brushed horizontal stripe with the Novatech brand printed on it provided the first clue that we’re dealing with a premium product here. If by this point we were a bit sceptical about the Novatech Elite n1520’s design, opening up the lid shattered all our doubts and surprised us beyond expectations. Completely contrasting with the outside, the interior comes with a dark grey carbon fiber-like textured finish that spreads all around the keyboard and palm-rest area. Novatech went with its classical distanced keyboard layout, preserving the overall minimalistic aspect of the interior. The finishing touches are represented by the discrete power button and the grille that stretches at the top of the keyboard, covering the speakers. Some manufacturers seem to have absolutely no clue what they’re doing when they are putting together their machines, ending up with configurations that are either overkill for their designated target audience or, more commonly, powerful configurations that are dragged down by one single lazy component. We are happy to say that Novatech doesn’t fit this profile, the Elite n1520 being one of the most balanced configurations we have seen lately. The laptop targets the mid to high-end gaming segment so, as you may have already guessed, it comes with some pretty good specs. At the base of the configuration lies an Intel Core i5 3210M processor that gives the laptop enough processing power to deal with everything you might throw at it – games run fluently and so do demanding applications, even under heavy multitasking. 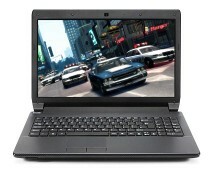 What’s really impressive, in terms of performance, is the graphics card the Elite n1520 comes with: the NVIDIA GT650M. This mid to high-end graphics card can take on many of the newer games to their high and ultra settings without sweating too much, placing the Novatech Elite n1520 quite high in the ranks of gaming laptops. A big and pleasant surprise comes from the storage side, where a hybrid 750 GB Seagate Momentus XT SSD drive is present. Combining the large storage space of a mechanical hard drive with the high-performance of solid state drives, the unit delivers lightning-fast boot times for the operating system and plenty of storage space for games and other content. Since we’re dealing with a 15.6” laptop here, having two drives was clearly out of the question so Novatech’s choice is the by far the best pick. Getting things done with the Novatech Elite n1520 is a great experience, whether we’re talking about advancing to a new level in your favourite game or rounding up a business presentation. 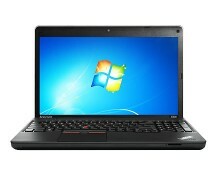 Besides the overwhelming performance, the laptop is also well-equipped in terms of connectivity, coming with pretty much everything you may think of. Its enormous 8-cell 5200 mAh battery provides plenty of juice while you’re on the move so even if you’re dealing with some intensive field work, you can do it without the fear of running out of power. There’s a lot that can be said and written about the Novatech Elite n1520 but we think you already got the general idea regarding the potential of this laptop. Its powerful configuration and affordable price combination makes it one of the best gaming laptops out there, so if you’re looking for a high-end machine and don’t mind choosing a slightly less-renowned brand, go for it!